One of the many things Disney Parks gets right is the secret nods to the people and movies that make Disney great. These nods come in the form of secrets throughout the parks and can be found around almost every corner. Disney’s California Adventure is no different. Here you can find a lot of Walt’s history without even trying. Simply walk down Buena Vista Street and you are seeing things the way Walt himself saw them when he first came to California. In fact, California Adventure was an idea of Walt’s long ago; just in a different way. Walt wanted to pay tribute to California in some way because he loved it so much. Now, as a thank you to everything Disney, you can find little secrets throughout every land. 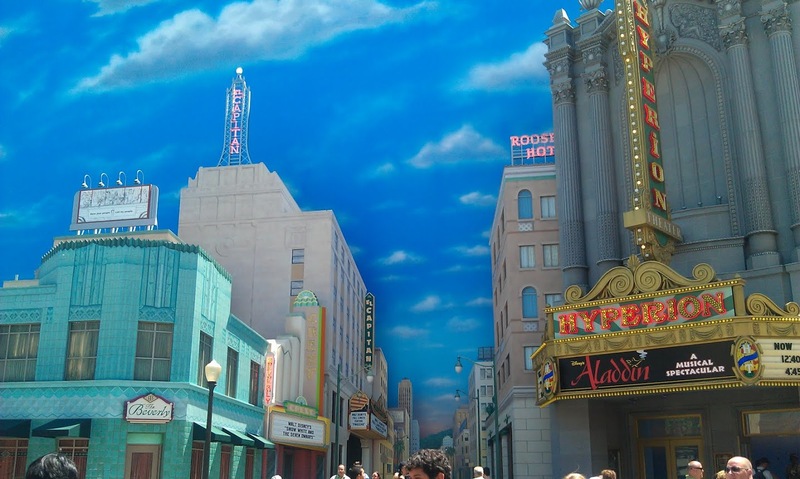 Hollywood Land is where we focus on the Hollywood of the past and the California Adventure of today. The Hollywood Tower of Terror is one of the tallest buildings in all of Anaheim. 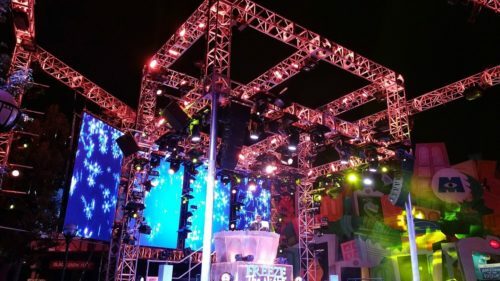 Measuring in at 183 feet tall, the Tower also takes the gold medal for the tallest ride in all of the Disneyland Resort. There are some rumors about the Tower that suggest it was going to be taller but then would have to have a red signal light for airplanes at the top. Disney wouldn’t appreciate that since a red flashing light would take the Tower out of the 30’s. 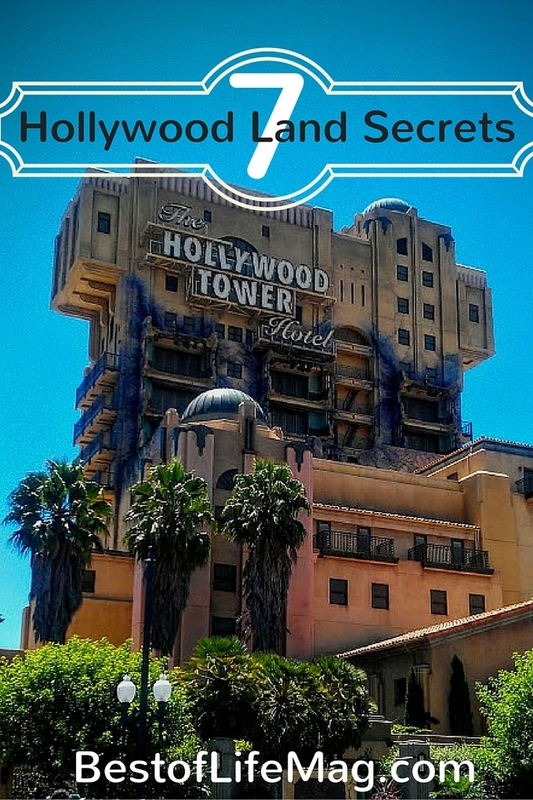 The Hollywood Tower Hotel has another secret as well as a cameo. If you ride the upstairs elevators you can keep an eye out for a special treat. When you exit the ride you have to walk down some stairs. Under the stairs, you can find a pair of legs sticking out. There are rumors about these legs though no one really knows why they’re there. Could be just an unlucky guest’s landing spot. The Tower reaches farther than just 183 feet. Next time you ride the Monster Inc. ride, pay close attention to the locker room scene. You can spot the Hollywood Tower Hotel logo on a towel. Not sure how this towel got here, but it didn’t seem to cause any 2319 alarms. Pixar is known for hidden tributes in their films and their rides are no different. In the sushi restaurant on the Monsters Inc ride, there is a chef making sushi. Behind this chef is a painting on the wall of fish. One such fish is Nemo himself or his father of course. Though it seems more likely that Nemo would end up far from home. One last secret of Monster’s Inc. is one that is largely in plain sight but goes unnoticed by many. Before Monster’s Inc was a ride, there was a limousine ride that took you through the streets of Hollywood in a limo. That rides animatronics are still there, in the exact same spots. The difference is that they have been reprogrammed and covered in a new costume. Monster costumes. The Red Car Trolley is straight out of the history of Hollywood and California. In that history, the cars ran on cables above head. In California Adventure, the trolleys are battery powered. The cables overhead are just for show and to keep you in the illusion of the era. The Trolleys also are true to history when it comes to what number trolley they have. The original Red Cars had a 600 lineup and a 700 lineup, but Disney has made this a fun little secret as well. There are two cars that run on the lines, the 717 and the 623. The 623 car pays tribute to the year Walt first came to Los Angeles in 1923. The 717 car pays tribute to when Disneyland first opened their doors on July 17th in 1955. So next time you’re walking around in California Adventure, more specifically Hollywood Land, pay attention to the details. They will surely put a smile on your face when you figure out their purpose. Just keep in mind that no matter where you go you will find secrets in California Adventure.